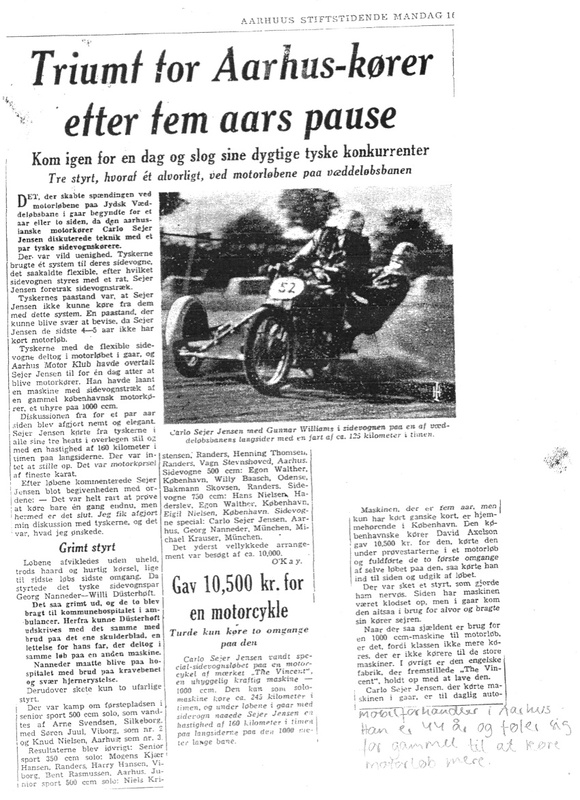 The first owner of the "Danish Black Lightning" only used it for two races (with sidecar) in 1950. After 6 years storage, it was borrowed by Carlo Sejer for one final race in Aarhus. 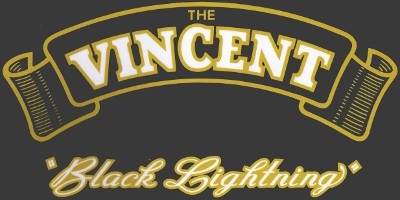 He had been challenged by some german drivers and could not resist showing them who was the fastest. 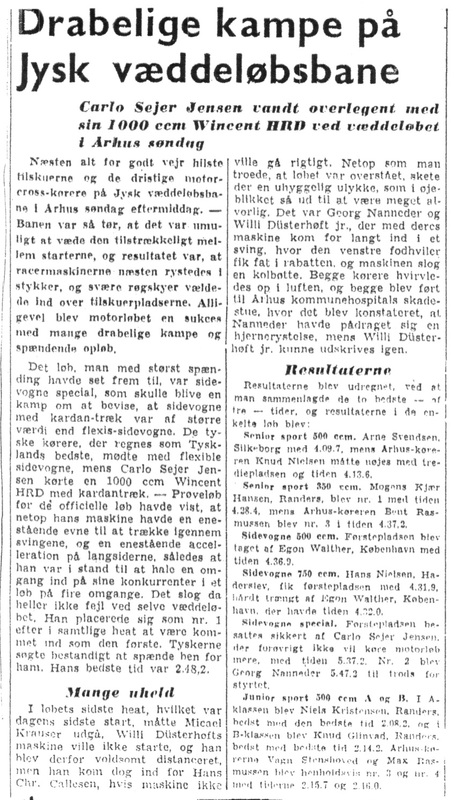 The race was covered by a number of local dayly newspapers, among them Aarhus Stiftstidende. 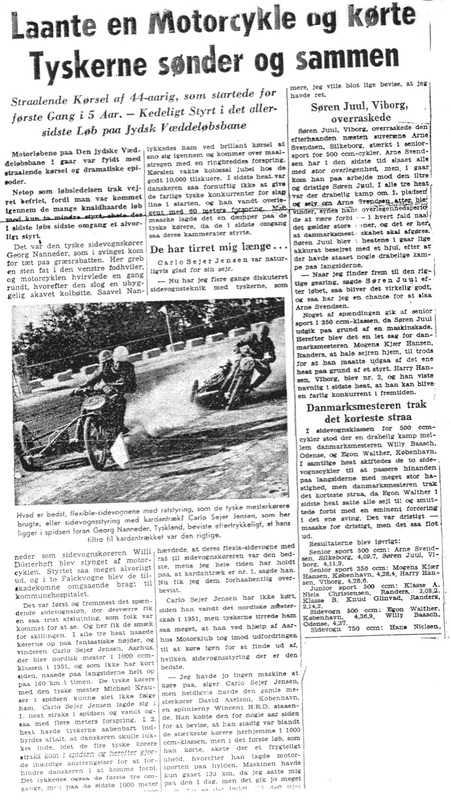 These four newspaper clips were included in the brochure of Sivert's Black Lightning when he sold that bike.To see the rest of this brochure, click the button. Here is three more newspapers covering this race. 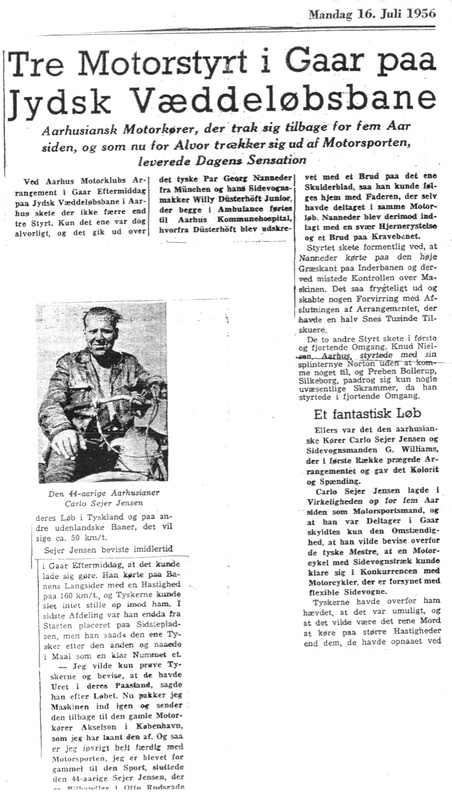 Sorry, we don't know the names of these newspapers, but we guess that they were published the same day, monday 16:th of July 1956.